TweakNow released the tool for Windows 7, Vista and XP, which helps you to improve your internet speed and explore more secret features of Windows OS. With the help of this littler freeware app you can improve internet speed, Windows logon screen, User accounts, clean registry, optimize window settings and also easily mange all your start up programs. 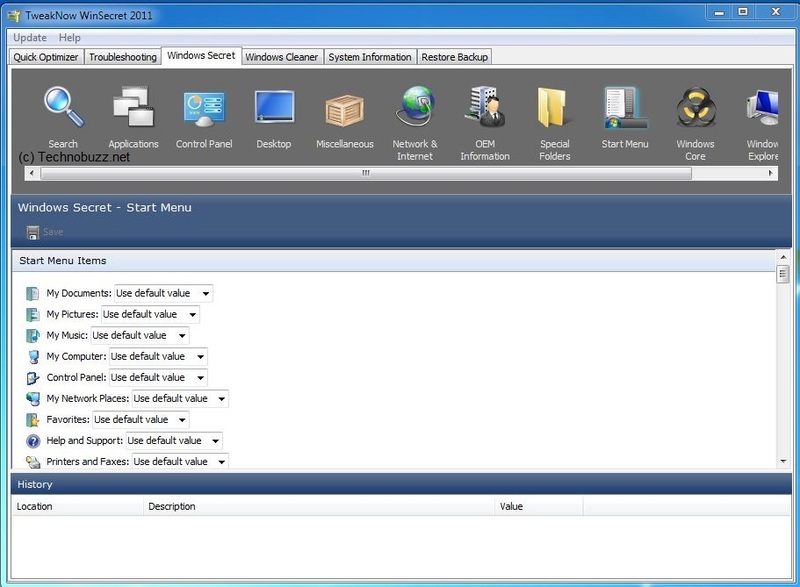 The app also include various secrets to restrict access to folders and control panel features, optimize Windows system and Internet settings, customize the desktop environment and many other things. The program keeps an automatic backup of your original settings, allowing you to undo any changes as needed. So anytime you can go to your previous settings. After the installation you can see lots of option there like Quick Optimizer, Troubleshooting, Windows Secret, Windows Cleaner and more. With the help of these options you can customize and improve the speed of your PC and Internet also. TweakNow WinSecret also provides access to detailed system information, a startup manager and a simple uninstall tool.